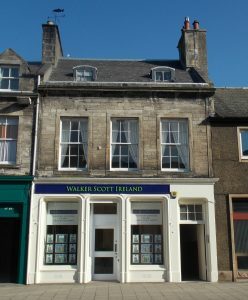 Walker Scott Ireland is based on the bustling and highly regarded High Street of Peebles. The town lies approximately twenty five miles south of Edinburgh, on the western side of the Scottish Borders area and supports a rich diversity of people and property. The business is well set to serve the property needs of clients both locally and nationally. 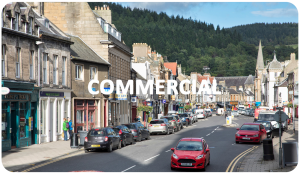 Bright, south facing and with external elegance, the Walker Scott Ireland office is situated in a prime location on Peebles High Street. 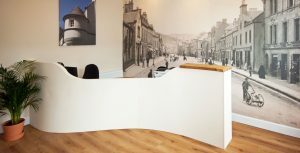 The double fronted layout allows for prominent property displays. The internal layout is warm, welcoming and a comfortable setting for client meetings. Walker Scott Ireland is headed up by Michael Ireland MA MLE MRICS, who was previously a Partner of Knight Frank in Edinburgh. Michael has a lifelong passion for property, be it land or buildings. He is a highly regarded and experienced Chartered Surveyor with twenty years knowledge of the residential, agricultural and rural commercial property markets throughout Scotland. His quiet, calm but firm approach compliments a depth and breadth of knowledge in all sectors he advises on. He regularly acts as an expert witness. Clients appreciate his honesty and integrity in whatever advice he gives. He is a RICS Registered Valuer and currently sits on the RICS UK Rural Professional Group Board. He is also a member of the Scottish Agricultural Arbiters and Valuers Association. Michael is assisted by Gillian, who is responsible for the day to day running of the office, and ensuring all estate agency matters are dealt with quickly and efficiently. Gillian had a small personal portfolio of properties in Peeblesshire and the Lothians, and has 20 years’ experience of management, quality and safety. The Royal Institution of Chartered Surveyors (RICS) is the benchmark for property professionals. Walker Scott Ireland is a member of the RICS and is governed by its rules of conduct and regulations. The RICS carry out regular member inspections and operate a number of mandatory schemes in addition to statutory consumer protection measures, to ensure the highest of standards are adhered to in whatever area of the property market you are concerned with. Walker Scott Ireland operates a Complaints Handling Procedure in accordance with RICS requirements. A copy is available upon request. Walker Scott Ireland is proud to be and operate as a RICS member.